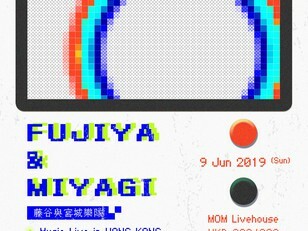 Fujiya & Miyagi are a British group formed in Brighton, East Sussex in 2000. They have released seven studio albums: Electro Karaoke in the Negative Style (2002), Transparent Things (2006), Lightbulbs (2008), Ventriloquizzing (2011), Artificial Sweeteners (2014), Fujiya & Miyagi (2017), and Different Blades from the Same Pair of Scissors (2017). They are currently signed to Impossible Objects of Desire worldwide. Walk-in tickets will be not available if advanced tickets are sold out before 8/6/2019.